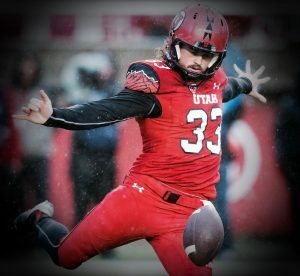 This week Bill chats with former University of Utah football player Tom Hackett. They talk football, punting, Australia, beer and Vegemite. This entry was posted in Podcast Episodes and tagged Australia, beer, Bill Allred, ESPN, ESPN 700, football, NFL, punting, The Let's Go Eat Show, Tom Hackett, University of Utah, Vegemite. Bookmark the permalink.